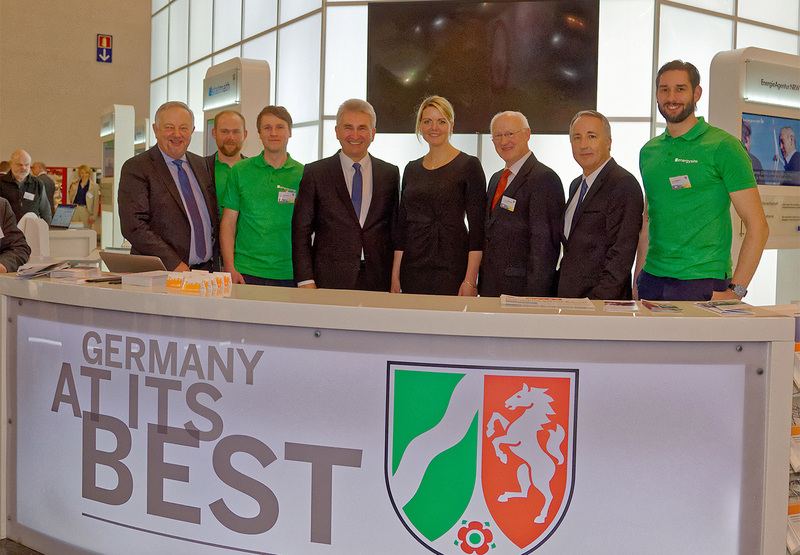 The E-World energy & water in Essen last week brought us many exciting contacts. We presented the energysim price calculator at the joint stand of the Ministry of Economics, Innovation, Digitisation and Energy NRW. The offer also convinced the NRW Minister of Economics Andreas Pinkwart (FDP) and his former university professor at the University of Siegen, as well as the NRW Minister of the Environment Christina Schulze Föcking (CDU). During their visit to the stand and the subsequent discussion, they informed themselves in detail about the history of our company, the functioning of the energysim price calculator and the advantages for users. With 750 exhibitors from 26 nations and over 25,000 visitors from 73 countries, E-World energy & water, Europe’s leading trade fair for the energy industry, offered the perfect setting for placing the energysim price calculator. In addition to renowned companies from the energy sector, the organisers this year again attached great importance to offering young companies the opportunity to present their innovative ideas and set new impulses. With our price calculator we provide new impulses for the energy management of companies. The app is intended to achieve real transparency in energy procurement on the market and to give energy-intensive companies the opportunity to significantly reduce their energy costs. For this purpose, the company’s own electricity consumption is analysed with peak load evaluation and the future electricity consumption is forecast. The app determines the fair purchase price and evaluates supply contracts and quotations.